Compensation: $15-17/hour, depending on experience and qualifications. 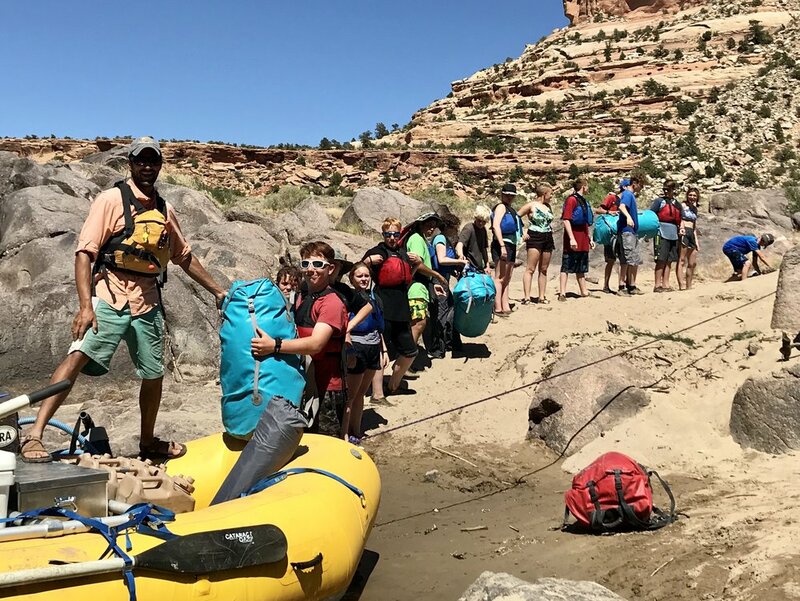 Colorado Canyons Association (CCA) is a growing nonprofit organization fostering community stewardship of our National Conservation Lands with a focus on Dominguez-Escalante, Gunnison Gorge and McInnis Canyons National Conservation Areas (NCAs) in western Colorado. CCA brings nearly 3,000 students out on the land for science-based education and recreation while completing a wide-range of restoration and public lands interpretive activities. The river education program at CCA is multi-faceted and educators must possess a diverse skill set. River educators are responsible for planning and executing all aspects of our river education and restoration programs. River educators work as raft guides, outdoor instructors, and restoration planners. Educational trips are led on the Ruby-Horsethief section of the Colorado River, and various sections of the Gunnison River. Educators are in the field from 1-5 days at a time and must be comfortable providing meaningful learning experiences for youth, as well as, high-end adventures for adults. When not actively leading trips, river educators are responsible for support work which includes food shopping, trip preparation and clean-up, and equipment upkeep. They also assist in curriculum development. This job description is not designed to cover or contain a comprehensive listing of all activities, duties or responsibilities that are required by the employee. The ideal candidate is professional, personable, proactive, enthusiastic, and dependable. They possess extensive physical and mental stamina. They can successfully maneuver a raft, read river currents, and prepare meals, while teaching and entertaining enthusiastically in varied environments for many days in succession. Proficient, conservative, and safe boat handling skills in paddle rafts and/or oar rafts. To apply, please submit resume, cover letter, and list of three references (name, email, phone) to dawn@canyonsassociation.org no later than December 20th. Compensation: $12-14/hour, depending on experience and qualifications.